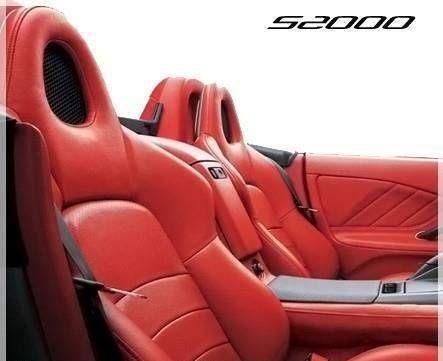 Katzkin Honda S2000 (2000-2005 only) replacement leather seat skins. You must remove the factory leather seat skins in order to install these. Available in thousands of possible color combinations. 3 year/36k mile warranty against manufacturer defects. Available in single or two tone colors. Genuine leather faces and vinyl matching sides and rear of seats. Available with regular leather, Tuscany premium leather, Suedezkin, Barracuda 2 tone perforated material, carbon fiber vinyl and more!